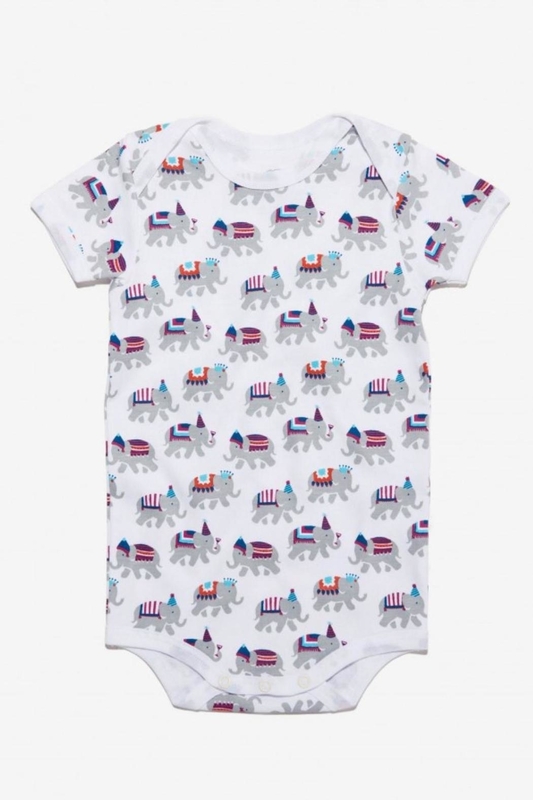 Short-sleeve infant onsie in party animal pattern. Cotton. Machine Wash, Gentle Cycle. 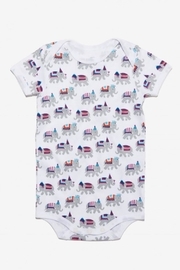 See kids pj set and mom options too!